Good news to ITF, Moo duk kwan, and Tang Soo Do community! 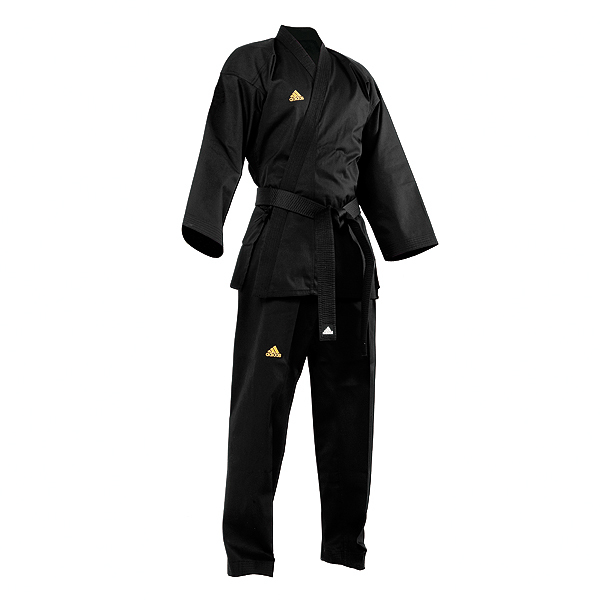 Designed with new open cut, this uniform adds style to the traditional uniforms available in black. The ribbed and corded fabric produces clean lines and uncluttered look. Elastic Waist Drawstring Pants. � Material: 55% Cotton, 45% Polyester. � Size: 000-8 � Belt is not included.